Catching up with some more articles, I stumbled across this nifty little post about a small city called Golden, and how it’s residents are putting up a stand against a main highway (beltway) being constructed through the center of their neighborhood. It’s mainly about the history of the beltway, and how the residents stood up against construction then and now. It also includes an insight into how main roads like this can either make or break the city it runs through, or doesn’t run through. I found it quite interesting, and I hope you do to. Residents of Golden, a small town just west of Denver, have said that allowing a highway through their valley would rupture their community. 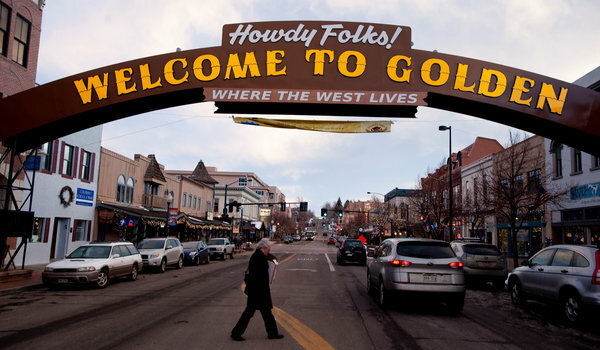 GOLDEN, Colo. — Breathes there a soul who really, truly, loves a beltway? Maybe, but you are not likely to find one here in this little city in the Rocky Mountain foothills west of Denver. For decades, this has been the community that said no, arguing through courts and politics and whatever other means available that a multilane ring road circling Denver — the kind built around cities all across America starting in the 1950s and ’60s — would spell disaster. Most of Denver’s belt-loop would cruise through open prairie land; here it would cleave the narrow Golden Valley and shatter the community, residents and their leaders said in what became a mantra. The holdout appears now to have won, or at least fought the mighty belt to a draw, leaving a gap here in the nearly 102-mile circle that most planners have all but given up on completing. Federal and state money for new highways faded with the recession. Political will at the state Capitol to push a beltway, or punish Golden for intransigence, has evaporated too under a governor, John W. Hickenlooper, who preaches regional cooperation. Negotiations among Golden and its neighbors over a new public/private extension of the beltway north of the town broke off last month. “CDOT has other priorities,” said Stacey Stegman, a spokeswoman for the Colorado Department of Transportation, referring to the idea of completing the beltway. But if Golden, one of Colorado’s oldest cities and briefly the territorial capital in the mid 1800s, did beat the belt — and some say its victory could come back to haunt it — should metro Denver and its drivers offer thanks, or curses? Is Golden a David with a sling, bringing down a giant, or a selfish obstructionist?